Are you an e-commerce site that is looking for a way to speed up your ordering process while improving the UX of your website? Automation is good, but AI is better. Despite some of the controversies currently surrounding this smart tech, there are some great things about it too. In this post, we'll look at both and discuss how it could be AI that makes the e-commerce process "more human"! You could say that AI is a paradox. That's because, while it is intended to replace the need for human interactions, what it does is emulate it. It's a paradox because while it attempts to symbolize the human interaction with customers, it increases the feeling of the human connection. That's because AI has evolved to the point of believability and there are now even technologies that allow people to interface with computers through virtual reality, Amazon shopping assistant, and many other creations. The paradox of AI is evident when you think about how it emulates the human experience in ways that seem more real than real people during the shopping experience. AI has gotten better because it has gotten smarter. Is it true that AI humanizes online customer experience? Better programming algorithms and multiple programming languages, as well as the ability to make AI look more human through better animatronics, has indeed increased its ability to appear real. What is the downside to AI? The main problem with AI is that it can be cold and impersonal. As good as AI has become, it can never totally replace the living, breathing human. People know that it is just an illusion. They know that they are not talking to a real person, no matter how much they want to believe it. 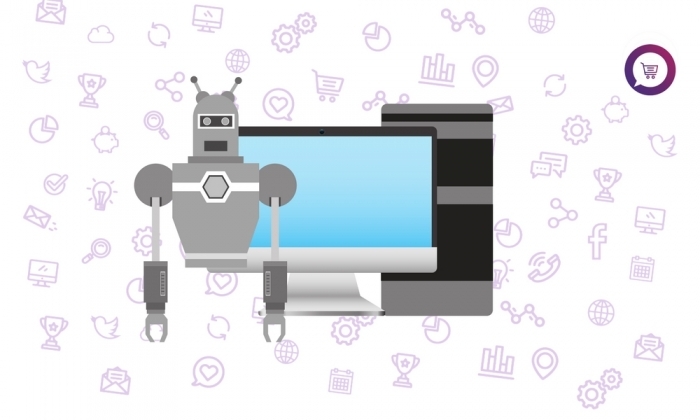 If you are an e-commerce owner and want a way to speed up the shopping process while also creating more human effects with your online site, AI can provide the answer to this. This too is a real paradox, and it seems illogical that the use of a machine or computer could increase the human interaction. But one reason that this is true is that people cannot be more than one place at one time. If you cut down on the number of individuals who have to be present during the ordering process, you cut down your overhead while also providing an automated solution so that customers are taken care of while you're away. The overall user experience (UX) can be improved upon by using this technology as long as it is not utilized in every situation. Thanks to machine learning, progressive personalization & deep Learning, AI knows what customers want based on their previous shopping behaviors and the metrics and big data that it has access to. This not only helps your e-commerce site to learn the preferences of your customers and increase your revenue, but also gives the feeling to online shoppers that a personal sales person is giving them advice, just like in brick-and-mortar stores. Because AI employs the use of smart technologies that help customers find products faster, the customer satisfaction level may improve. This will be reflected in more sales and conversions over time because you have the upper hand on what your customers want, even if you do not ask them directly. Plus, it enables customers to browse items, just like in regular shopping session. Chatbots and virtual shopping assistant technologies help customers to make a buying decision if they are on the fence about a product. They can also assist them in locating an item that they are looking for or informing them if inventory is getting low. This type of AI may save you from losing customers who are frustrated with your site or who don't have the time to find an item on their own. As we mentioned before, AI is not perfect. It's also not human. It emulates the human experience, though, and seems so real to the customer that they think they are interacting with a real person. People are more educated than they used to be about how technology manipulates them. They've accepted this, to a great degree, due to the trade-off they get. They get to find an item they need or want more quickly, saving them time and money in many cases. But AI can never replace a real person. It can only imitate it. In the end, the key to utilizing AI in the best way possible to avoid dehumanization of the world is to combine the living, thinking, human with the powers of the AI engine to serve as a surrogate but not a replacement of the human interaction. AI has its place. It's used in Medicine, Education, and e-commerce successfully by offering the potential to serve more customers at a faster rate than would be possible using people only. Today, the sales process needs to be fast. Customers demand a fast ordering and processing process. This is where AI can be utilized to its greatest success level so that more people can get their orders faster. This will help customers be happier, and e-commerce owners will be richer. But how much is too much AI? While science and technology have already created amazingly lifelike interactions that can be fully automated through the use of artificial intelligence engineering, advanced programming techniques, and new innovative hardware, it is the human interaction that people crave most when they need customer service. So, if AI does eventually replace the living, breathing human, it may well be in the e-commerce purchasing aspect but not the customer service aspect. Smart e-commerce owners will want to research this topic as the technology evolves and think about where you stand regarding the use of AI machines and innovations. Leaders in the AI movement such as Mark Cuban and Jeff Besos know their market. But what they don't understand is the need for human interaction. People may respond to online AI during the shopping experience, but when they need help, they will want to deal with a real, speaking, feeling person. Deep down, they will always know that something is missing if they use AI only. Remember the old days when a nice middle-aged lady leaned over the store counter and asked, "Can I help you?" AI can do a lot, but it can never express emotion in reality. Therefore, it can only emulate the human experience. There is no greater need than to connect to another human. Computers can create the semblance of this, but cannot truly achieve it. Just as in the Spielberg movie, "AI," even the robots that we create may find themselves searching for something they don't understand, and finding it only in the eyes of a living, thinking human. For e-commerce store owners, the smart way to use AI is in the ordering and processing department, while using your human staff members for customer service and public relations.